Intex Windows & Doors is a distributor of top quality door and window fixtures. Our company has more than a gorgeous showroom that is located in Glendale, California. When you want excellent service and great window and door fixtures at reasonable prices, be sure to consider shopping from Intex. We have been in the business of providing customers with high quality products that will last through the years. Never worry that you will have issues with the technicians who come to you for your service call. Intex specialists are always professional and work hard to offer nothing short of excellent customer service. Whether you want windows for a new construction project, or you need to replace broken or old fixtures, you will love what is available from Intex Windows & Doors. There should be no stress involved in the whole process of shopping for and purchasing Windows Replacement in La Canada Flintridge, and with Intex you know that you can always rely on the technicians to do an amazing job with the installation. 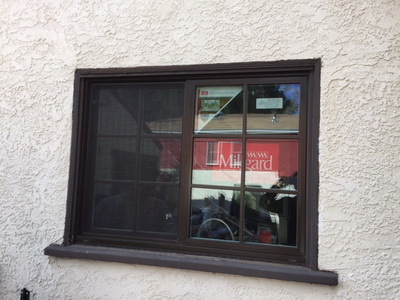 Take it easy knowing that the experts are on your side for installation of the Milgard Ultra fiberglass Windows of your dreams. The matter of getting replacement windows for your home can be a complicated one, depending on where you are located. In many places, it is necessary to have a permit in hand before the installation work can begin. This is even the case with those doors and windows that cannot be seen by neighbors or passersby. You can seek instructions from Intex on the steps to take to obtain this permit, as our company has knowledge of the zoning board regulations and requirements around the Glendale area. If you are planning to get Windows Replacement in La Crescenta, you should know that Intex Windows & Doors is among the top retailers for these products. A professional level of customer service is guaranteed, every time you deal with representatives from Intex. You can have assistance with finding the fixtures that are ideal for your unique property and situation. The catalog is easy and convenient to use when searching for the door and window products that you need. We have items from some of the top brands around, including Milgard and Fleetwood. If you need a specialty design product for your storefront or institution, we have numerous models that are sure to appeal to you. It has never been so easy to shop for premium fixtures, and the best part is that there is a full lifetime warranty on them. Though these products are handcrafted to stand against harsh conditions and last for a long time, we understand that things happen that are out of your control. If a product arrives to you in less than satisfactory condition, or breaks or otherwise becomes damaged through no fault of your own, you can speak to an agent from Intex Windows & Doors for consideration of an exchange or refund. We want to make shopping for and owning gorgeous doors and windows something that is enjoyable to you. If you are interested in finding out more, reach out to us today to receive a free quote so that you can have beautiful new or replacement windows in almost no time.